Your horses are important to you, your work, and your life. For most people, horses are more than just a domesticated animal. They can be friends, coworkers, and reliable transportation. They can also be a means of entertainment and exercise while providing a source of income in several different ways. Chances are that you have invested heavily in your horses, and you want to protect that investment as well as your trailside companion at all times. Transporting your horses over distance shouldn’t be a harrowing experience. 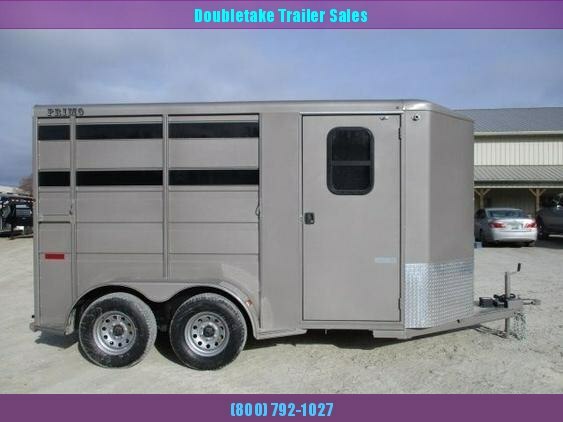 At Doubletake Trailer Sales, we have the right enclosed horse trailers for sale to help keep your animals safe. Our high-quality trailers ride smoothly over the roads and provide a comfortable place for your horses while you are on the highways and byways of America. We are the best horse trailer dealer nationwide. Take a look at our selection of trailers and decide which one you like best. Then contact us and let us help provide safer transportation for your horses. We offer only quality-made trailers with the best warranties in the business. You’ll find us to be one of the best horse trailer dealers, with competitive rates and a wide range of trailers to choose from. When you need to keep your investment protected while you move it from one place to another, our horse trailers are the best choice you can make for your animals.